Björn Jauss aka zen.se — Born in St. Vith (B) and living since his early 20ies in Brussels to pursue his research into the essence of sound. He was one of the founders of meakusma, organizing several electronic music production related workshops and jam sessions. 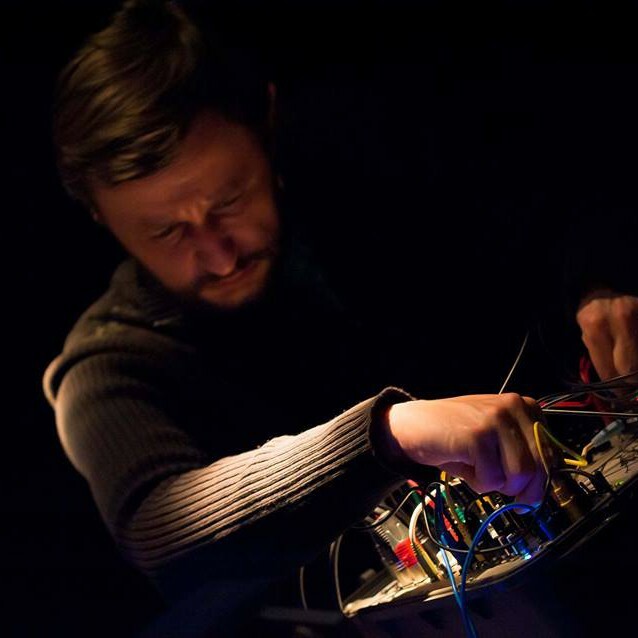 Following his retreat, he made the move towards the modular synthesizer world, with the aim to build his personalized monophonic performance instrument. Driven by a fascination for feedback, his decade long quest, has given rise to “The Gonzophone”. A timbral performance inspired by classic American Minimalism and Experimental Music, the whole piece is based on one single played note. All based on pure analog feedback (no input mixing technique), without the use of any VCO. The aim is to bring the listener with a continuous flux of slow and simple movements into a kind of meditative trance. This is a sharp contrast to our modern fast paced world, where we are bombarded constantly with more information than we can process. from internal beating of the harmonics and the modulation of sound parameters.